Robert McNamara is an accomplished artist who has exhibited nationally and internationally. His work has appeared in many prestigious exhibits, including the Leigh Yawkey Woodson Art Museum’s Birds in Art and Wildlife Artists View, and the Society of Animal Artists’ annual exhibition. 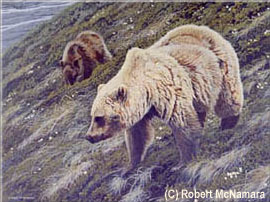 His images have been published in the premier magazine of the genre, Wildlife Art and New York State’s Conservationist. 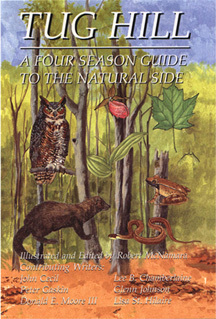 In addition, his work is included in two hardcover books: The Best of Wildlife Art and Wildlife Art . 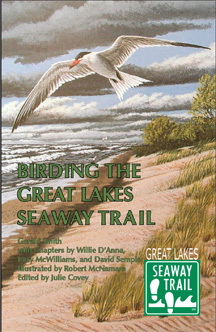 He also illustrated, designed and edited Tug Hill: A Four Season Guide to the Natural Side and illustrated and designed Birding the Great Lakes Seaway Trail. He has shown his paintings in galleries from Jackson, Wyoming to Nags Head, North Carolina, as well as Central and Northern New York. He has been accepted for many juried shows, including Charleston, South Carolina, Orlando, and Minneapolis. At his studio in Central New York, he shares a streamside site in a beautiful piece of the Great Northern Forest, on the edge of the Tug Hill Plateau, with the plants and animals that become subjects for many of his paintings. Bob has traveled extensively in Alaska, Canada and the American West, gathering experiences and reference materials that inspire his works. He is an avid backpacker who has climbed all of the Adirondack’s Highest Peaks. Bob is a dedicated naturalist who uses his art not only to express the beauty of wildlife and wilderness, but also to document natural communities and educate viewers about the need for protection of the habitats that are crucial to the continuation of the species diversity we enjoy. 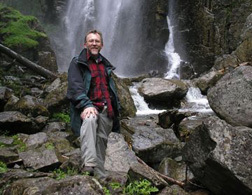 Since 1991, Bob has been using his outdoor experiences, field notes, sketches, and photographs as reference for images and designs he creates for environmental interpretive exhibits.